Succulents—yes, succulents—are having their moment in the sun. As with most trends, succulents have taken root in Saratoga Springs. Move over, avocado toast—it’s all about succulents now! 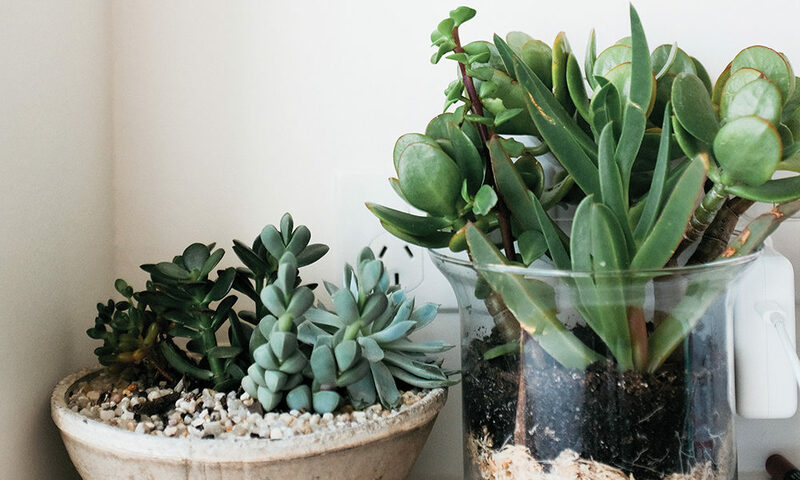 The latest trend among millennials—and anyone who wants to think they have a green thumb, really—is those petite, cactus-like plants you can find in homes, at garden conventions and particularly, on countless Instagram feeds and YouTube channels. Succulents have certainly taken root worldwide. What separates succulents from the standard houseplant? For one, they’re perfect for anyone who wants to feel like they’re taking care of something, while not actually having to do much work.. Succulents’ drought-resistant properties have piqued the interest of 18-34 year olds, who, in 2016, accounted for 5 million of the 6 million Americans who took up gardening that year. As of last year, millennials accounted for 29 percent of all home gardeners, largely thanks to the trendiness of indoor gardening. As with most trends, Saratoga Springs and the Capital Region have taken notice. Demecia Lloyd, Co-Creator of Revibe, an alternative and holistic health center in Schuylerville, has seen an increase in succulent purchases in her shop “for everything from wedding favors and wreaths, to terrariums and planters.” Deb Converse, Wedding Consultant for Dehn’s Flowers and Gifts of Saratoga, agrees. “We’ve definitely experienced an increase in sales,” she says. “Succulents are fun and easy to grow and care for. That translates into using them for different events. Favors, displays, indoor gardens and more all are front-and-center now.” Even Saratoga Paint & Sip Studio is getting in on the fun with “Plant Nights,” at which guests can create their very own DIY succulent terrarium. It’s safe to say succulents are here to stay; after all, it is nearly impossible to kill them.